April 26, 2016 - New Yorker Electronics is now distributing Vishay’s VEML6075 UVA/UVB Light Sensor, a Vishay Super 12 Featured Product for 2016. The VEML6075 senses UVA and UVB light and incorporates photodiode, amplifiers and analog/digital circuits into a single chip using a CMOS process. When the UV sensor is applied, it is able to detect UVA and UVB intensity to provide a measure of the signal strength as well as allowing for UVI measurement. This sensor converts solar UV light to digital data with reliable performance under long solar UV exposure. Vishay's VEML6075 provides excellent temperature compensation capability for keeping the output stable under changing temperature. Its functionality is easily operated via the simple command format of I²C (SMBus compatible) interface protocol. VEML6075’s operating voltage ranges from 1.7V to 3.6V and is packaged in a lead (Pb)-free 4-pin OPLGA package, which offers market-proven reliability. 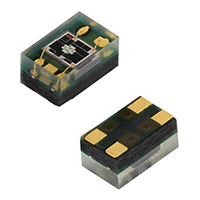 Vishay VEML6075 UVA and UVB Light Sensors are a single-chip solution using CMOS that incorporates photodiodes, amplifiers, analog/digital circuits, and an I²C interface. The VEML6075 is able to detect UVA and UVB intensity to measure signal strength and UVI measurement when the UV sensor is applied.